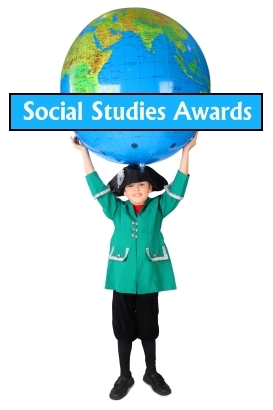 Welcome to my student awards and certificates section that focuses on Social Studies Awards! 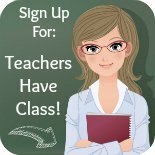 On this page, you will find awards to present to your students for achievement in the area of history, social studies, geography, the middle ages, ancient Egypt, map reading, newspapers, and writing reports about countries. 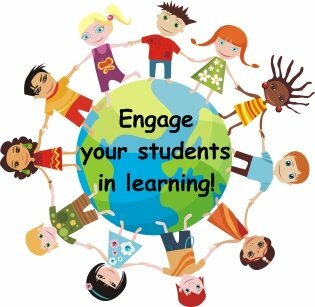 In addition to rewarding your students for excellence in social studies, remember to focus on rewarding students of lower ability who have shown improvement and effort in social studies. 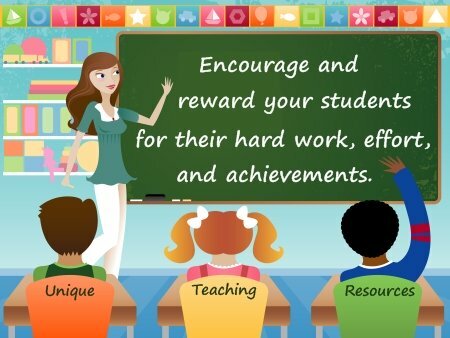 By acknowledging these students for their achievements, you are boosting their confidence and giving them positive reinforcement to continue working hard at their ability level. 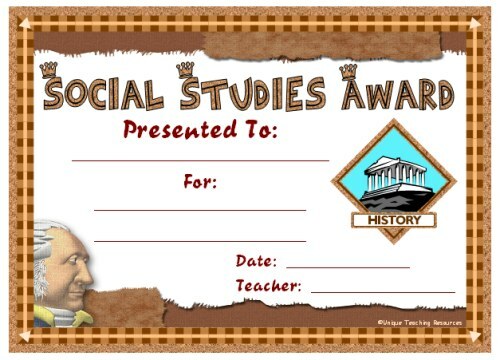 I have designed my social studies award certificates with a large border around them so that they are easy for you to cut out. You may want to laminate your awards so that they are more durable and look even more impressive. 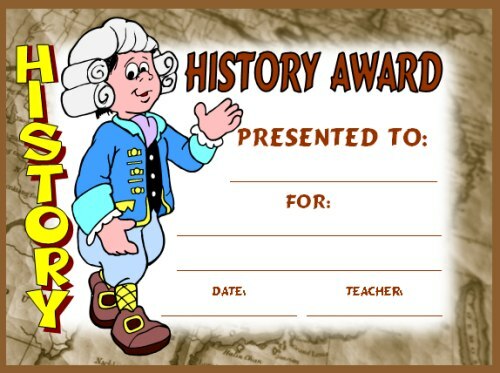 This is a History Award that you can present to your students for any occasion: completing a research project, doing well on a history exam, or giving an oral presentation. 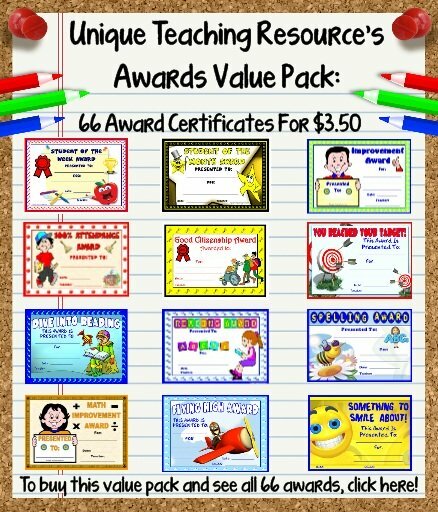 There is a color version and a black and white version of this printable award certificate included in this set of teaching resources. 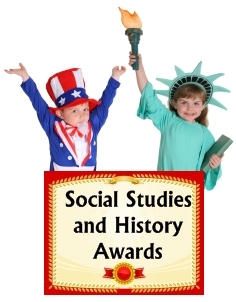 This is a general social studies award that you can present to your students for any occasion: completing a research project, doing well on an exam, giving an oral presentation, or improvement in class. 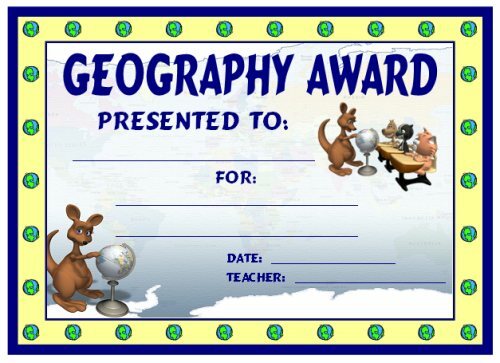 This is a geography award that you can present to your students for any occasion: completing a research project, doing well on an exam, giving an oral presentation, or improvement in class. 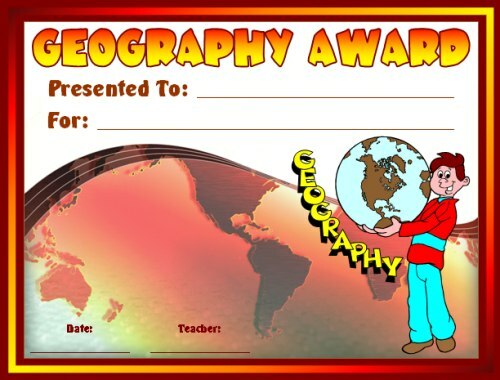 This is a second geography award that you can present to your students. 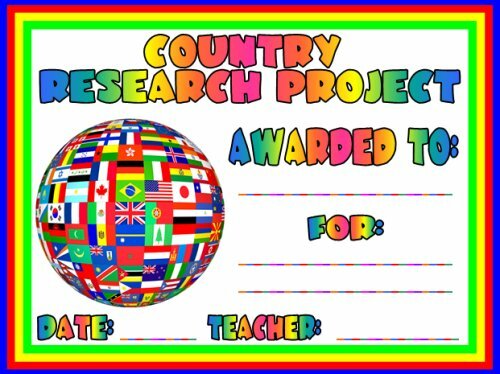 Since many grade levels complete reports about different countries, I designed this country research project award that you can present to your students after they have completed their country projects. 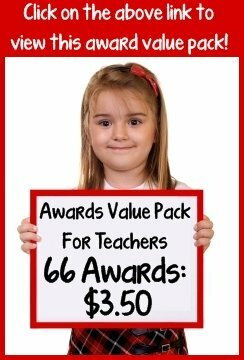 There is a color version and a black and white version of this printable award certificate included in this set of teaching resources. Cut this pencil shape out along the solid black lines and you have a uniquely shaped pencil award. 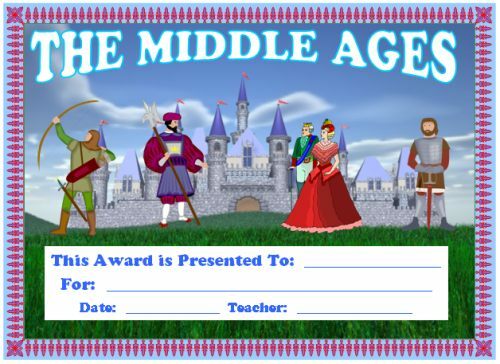 I designed this Middle Ages award certificate to be used anytime during a social studies unit on the Middle Ages, medieval times, castles, or knights. 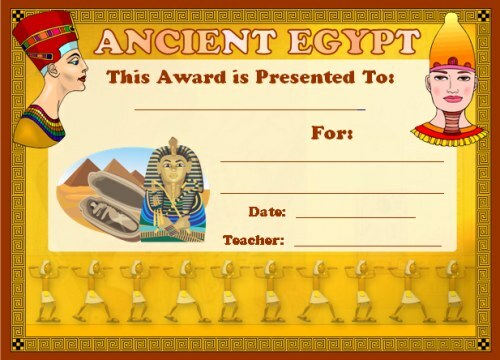 I designed this Ancient Egypt award certificate to be used anytime during a social studies unit on Ancient Egypt or the pyramids. 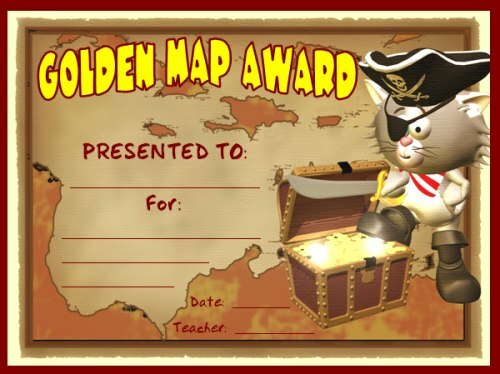 In Social Studies class, students often have to read maps or draw their own maps, so I designed this Golden Map Award to use for those occasions. 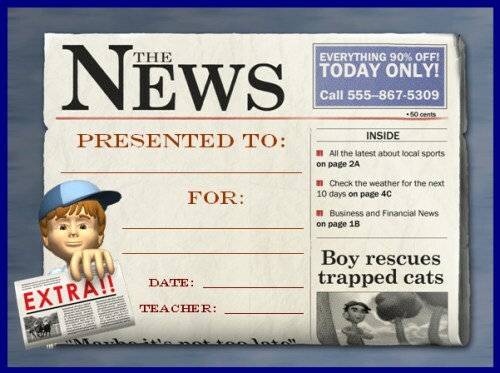 I designed this In the News Award Certificate as a general newspaper writer or editor award. This award could also be presented to students for writing a history report, writing a newspaper article, summarizing a newspaper article, or for a variety of other occasions. Thank you for visiting my Social Studies Award Certificates page.